As Meryl Streep's character says in The Devil Wears Prada, "Florals? For spring? Groundbreaking..." And we get it, it's a bit overplayed and cliched, but there's a reason for that! 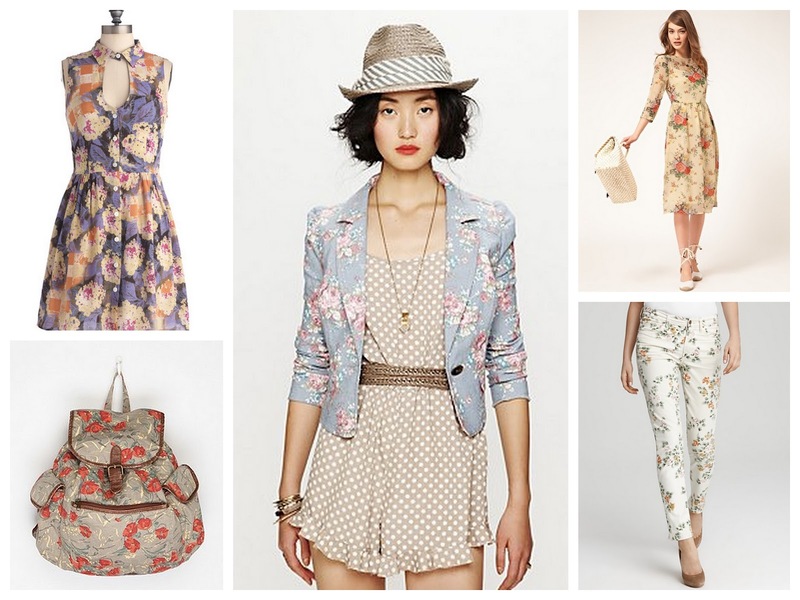 Large floral prints remind us of Kelly Kapowski -- effortlessly beautiful, carefree and casual. If you don't want to look too Laura Ashley, then dress down your look by mixing prints, throwing on a military jacket, or adding a pair of lace up boots. Otherwise tousle your hair, put on a charm bracelet, and in no time Zack Morris and A.C. Slater will be vying for your attention.